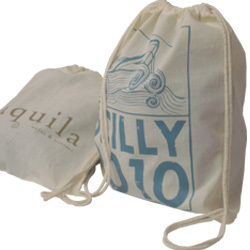 Our cotton backpacks bags are available to purchase via the website in packs of 10 bags. Natural and black cotton bags are made from heavy duty 6oz fabric, making them a very popular cotton bag for use in schools and colleges. For printed cotton backpacks click here printed cotton backpacks, larger quantities or multi coloured designs please contact our sales team for a quotation. 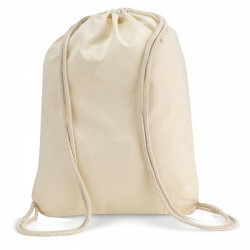 Our factory can offer cotton backpacks bags in only colour you require, minimum 1000 bags. 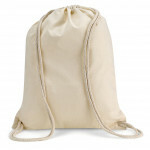 Cotton Backpack Bags 370x405mm (width x height) Price per pack of 10 bags Rop..